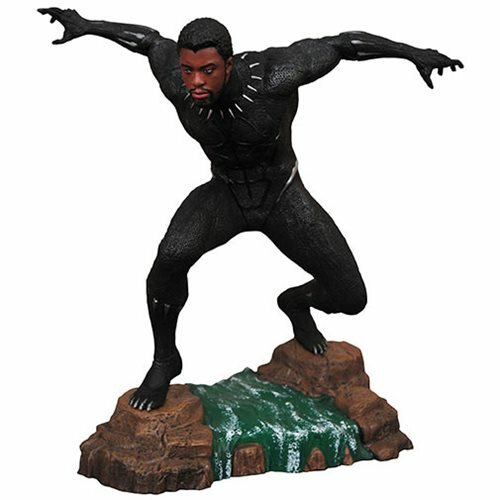 From the blockbuster Black Panther movie comes this unmasked Marvel Gallery PVC statue of T'Challa himself! The Marvel Gallery Black Panther Movie Unmasked Statue features Black Panther ready to pounce on anyone who invades Wakanda in this variant sculpture based on the hit film, and it is in the same 9-inch scale as the other figures in the Marvel Gallery line. Packaged in a full-color window box. Designed by Joe Allard, sculpted by Rocco Tartamella!